In one word: YUM! This pudding is delicious. Trust me on this one. Although this pudding is chilled after cooking, I couldn’t wait and ate it warm off the stove. The warmth of the pudding was perfect for a cold November day. Blend on high for several minutes. Pour into a large pot and cook on medium heat until it begins to boil. Stir the mixture continuously while it is heating. Once it begins to boil, remove from stove and let it cool. Pour into a large bowl and refrigerate for 1-2 hours. Scoop pudding into small bowls and top with banana slices. I shared my recipe on Whole Food Wednesday, Allergy-Free Wednesdays, Hearth and Soul Hop, Homemaker Monday, Frugal Days, Sustainable Ways, Mrs. Fox’s Sweet Party, Healthy 2 Day Wednesdays, Tea Time Tuesday, Tasty Tuesday Party, Sweet Tooth Friday, Tastetastic Thursday, Strut Your Stuff Thursday, This Chick Cooks, Crazy Sweet Tuesday, Sweet Shot Tuesday, Simply Sugar and Gluten Free and Mandy’s Recipe Box. I hope you get a chance to try it Susan. Have a wonderful New Year as well! My pleasure. Have a wonderful week! Wow… that looks so good! Mind if I ask what purpose the guar gum serves in the recipe? Thanks for sharing with the hearth and soul blog hop! Sure, ask away! The guar gum helps make it more of a custard texture. You can also substitute in agar powder or omit the guar gum altogether if you would like–it still turns out great! What a lovely recipe for folks who can't eat dairy! I had no idea you could make custard dairy free – well done! Thank you for sharing this post with the Hearth and Soul hop. 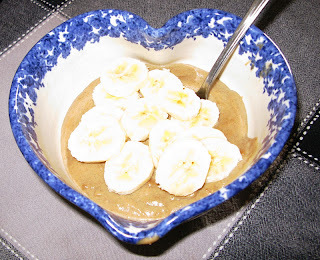 I was just thinking of ways I could make a dairy free pudding for my oldest son. Your custard looks delicious! I am so glad you shared this with the HnS Hop.